A funny death poem please? Hearing Eye was started some decades ago by John Rety. It arose out of a home grown, house grown creative space in North London called Torriano Meeting House where he was hosting poetry readings. His first publication was a little pamphlet by John Heath-Stubbs called ‘Cats’ Parnassus’. Heath-Stubbs did a reading in 1987 at Torriano Meeting House in its very early days when it had just gone on-grid and off-candle. 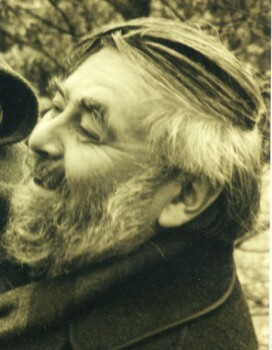 John Rety was taken by a series of humorous little poems on death and suggested that he published them. What arrived in the post was a collection of parodies of famous poets’ cats. Heath-Stubbs said that cats sell. Indeed he was right; the slim volume of 32 pages was recommended by Peter Levi in The Times and went into three impressions in a year. 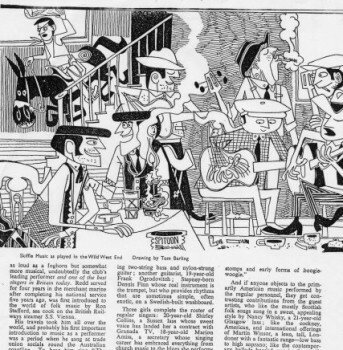 John Rety was not new to publishing. Soon after he arrived in England from Budapest in 1947 he was apprenticed to a Czech publisher, Mr Prager of Lincolns Prager, who taught him the trade. John, who had learnt English at nursery school, provided the translation for his English-less employer. From here he gravitated towards Soho and the world of young writers and artists of the 1950s. 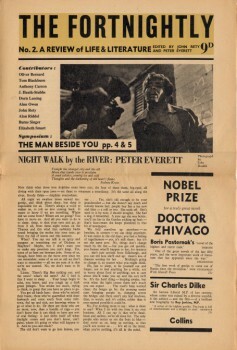 He began publishing their work in small literary magazines,Cheshire Cat, Intimate Review and The Fortnightly; many of these writers such as John Heath-Stubbs, Bernard Kops, Bill Sherman, John Roberts, Hylda Sims, Josef Herman, Stephen Spender re-emerged decades later in Hearing Eye and Torriano Meeting House. 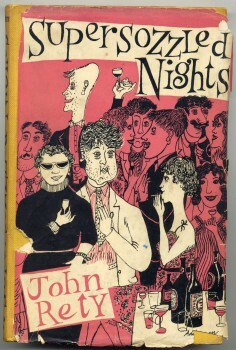 John also wrote his own novel,Supersozzled Nights when he was 21. In the 1980s Dinah Livingstone ran an Inner London Education Authority poetry class at Torriano Meeting House. It was a link between a new generation of poets and a new publishing house. Dinah championed the work of Kathleen McPhilemy, Jane Duran and other students and Hearing Eye published them. Later the Poetry School was begun at Torriano Meeting House by Mimi Khalvati and Jane Duran and Hearing Eye’s connection with the early works of now established poets continued. Among others were Anna Robinson, Adam Johnson, Jane Duran, Valeria Melchioretto. Publishing came and still comes out of the readings at Torriano Meeting House that had started in 1983 and very often there was an interaction with world events – the Miners’ Strike, the 1991 Gulf War. At a time when poets and artists were voicing against war, the Greater London Arts Association gave a grant for a season of readings with publications. 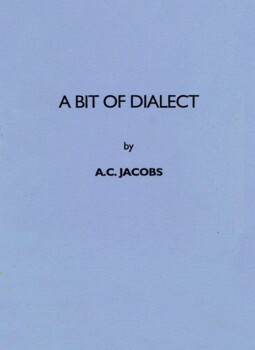 The first in the Torriano Meeting House Poetry Pamphlet series was “A Bit of Dialect” by AC Jacobs. John was profoundly touched by Arthur’s writing and scholarship. When Arthur died John went to Madrid to collect his manuscripts. Jointly with Anthony Rudolf of Menard Press, Hearing Eye posthumously published Jacobs’ “Collected Works”. A special aspect of these pamphlets was that the poets were involved in the production. To quote the catalogue “Adam Johnson typed his into a computer at Copy Art”. That Adam Johnson typeset his own pamphlet is part of the hidden history of a press. In the very beginning John and I used to go to a typesetter called Alec Fudge in Villiers Street by Charing Cross station. We’d climb a lot of narrow wooden stairs to a room right at the top which was completely empty except for a desk and a chair and a typewriter. The poems were typed in one of half a dozen possible fonts on shiny paper of hap-hazard shapes which we took away and glued onto another bit of paper lined up with blue pencil and took to Aldgate for offset litho printing. 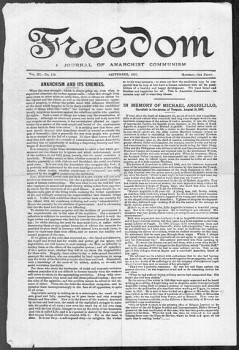 In another branch of publishing in the 60s John had been an editor of the anarchist newpaper, Freedom, which had its own printers, Aldgate Press. The first pamphlets were photocopied at CopyArt and stapled by hand, often by the authors themselves. One of these was by Jane Elder. 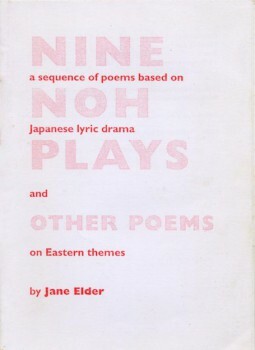 John said of her “Nine Noh Plays”: “This pamphlet is one of the reasons why publishing poems is worthwhile. The publisher will never grow tired of re-reading this wise, poetic and suprising little pamphlet”. So he kept photocopying more and more of them. CopyArt was a wonderful revolutionary institution of its times where the community had access to photocopiers used in the most creative ways. Then technology changed, photocopiers lost their cutting edge place and CopyArt disappeared. So we went to Catford Copycentre and have printed with them eversince and Martin Parker of Silbercow became our typesetter and designed beautiful covers for the high tech processes. 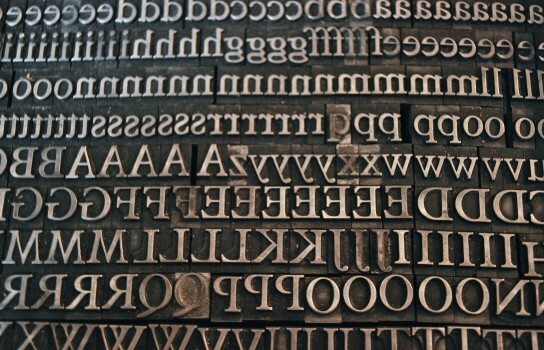 Also (going technologically backwards or forwards depending on your point of view) at this time John made a wonderful discovery: Peter Lloyd of Holbeche Press in Rugby who has been designer and printer of our letterpress series. From the shed in his garden came elegant design and the most fine printing. COMMISSIONING Most of Hearing Eye publications arise from readings or personal connections. However some have been as a result of manuscripts arriving out of the blue. In the 1950s John travelled to Paris and met Corso for whom he had high regard, so when ‘Exiled Angel: a prose study of the work of Gregory Corso’ was submitted by Gregory Stephenson he gladly published. Edmund Prestwich was also an author not known to Hearing Eye. We had just published Ram in the Thicket, a tour de force by Adrian Brown, and a long poem worked well as a book, so we went ahead and published Prestwich’s ‘Their Mountain Mother’. Then there was Raymond Geuss, our philosopher poet. We should ask them why it was Hearing Eye that they chose. If there are themes to our publications then one of them is translation and writing in second languages. The translators are mostly of European languages except for Richard McKane who is an important voice for Turkish and Russian poets. One of the many exiles who turned up at Torriano was Miroslav Jancic. He had had what he called an “attack of poetry”. 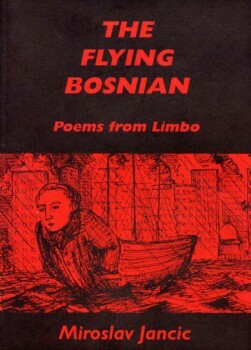 He had written novels and plays in his own language and been director of the Bosnia-Herzegovina Theatre, but when he came to London poetry arose out of neccessity. He was the Yugoslav ambassador to Ghana when his country disappeared and he refused nationalism. Like John Rety he wrote in a language that was not his mother tongue and poetry provided the bridge between his two language beings. In 2007 John had to give up his stateless person’s document and apply for British citizenship because the Hungarians said that he couldn’t prove he was Hungarian. The language had changed and to the young officials it sounded as if he spoke funny. His immigration lawyer persuaded the British authorities that after 60 years of writing and publishing in English, maybe John could be excused the humiliating language test. His personal experience of thinking between languages made John especially interested in the work of others who made the same voyage such as Stephen Watts and Cristina Viti whose “Mountain Language” and “Journey Across Breath” Hearing Eye published bi-lingually. 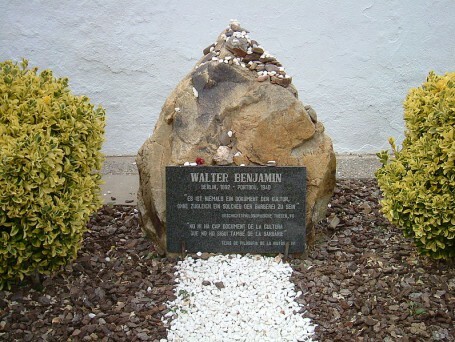 As an engaged publisher he went to the Spanish-French border to see where Walter Benjamin died before publishing Carina Birman‘s memoir of crossing the Pyranees with the philosopher. The other particularity of Hearing Eye has been our anthologies. In 2003 A Company of Poets was compiled to celebrate a community of poets who had gathered over the previous 21 years at the Torriano Meeting House Contributors included: Christopher Hampton, John Heath-Stubbs, John Hegley, Judith Kanzantzis, Jeremy Reed, Labi Siffre and Sarah Lawson. For a number of years John Rety was the editor of “Well Versed”, a poetry column in the Morning Star newspaper and gave many poets exposure to a much wider audience. Taking poetry into politics was John’s way and he was delghted by this mention in the Guardian: “Since its inception the poetry column in the Morning Star has raised circulation on Thursdays by 2%, such a hit has the column become.” In 2009 Hearing Eye put together an anthology of the Well Versed poems. In the early years John used to enjoy visiting the London bookshops and got to know the owners and managers personally. The pleasure and purpose gradually disappeared as bookshops became more corporate. Now we are represented by Inpress who are also our on-line bookshop, but the personal is still important as most books are sold through author readings. To come full circle from the 1940s: John was finding that publishing was becoming increasingly ” proper”. You had to have all the email and webshop stuff. (However, that saying, one of our authors Raymond Geuss who is Professor of philosophy at Cambridge never uses e-mail, only post, and the world still goes round.) So just as Mr Prager had John to be his translator, John found David Floyd to be his right-hand man. While John’s partner Susan Johns does the literary editing, I do the pictures and David does the electronic mysteries and managing. John himself was the soul and impressario. Since John’s death in 2010 he has remained the soul.